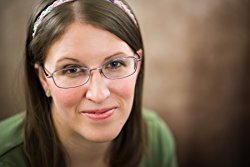 Check out new author Bree Moore right here. In real-life, Bree works as a birth doula and midwife’s assistant, attending women in pregnancy and labor, which is huge inspiration for her writing. For thirty years, Elaina has sat in her tower, fingers caught in an eternal dance, cursed to weave the tapestry of life on her loom. Bound by an enchanted mirror whose magic shows her the distant lives of the people of Camelot, she must forever watch a land which remains ever beyond her reach. Elaina despairs that she will ever experience more than just the shadows of life, until one day a face appears in the mirror that will change her life, and possibly her fate, forever.